Crestron, the global leader in advanced smart home technology, will showcase its line of Horizon™ keypads and new accessories at ISE 2019, 5 – 8 February, Hall-2, Stand C20. They deliver an advanced custom control solution as part of a complete Crestron smart home. Horizon keypads are available in highly configurable single-gang models that combine up to four across, Horizon keypads offer designer aesthetics, superior button feel, four different button styles, programmable multi-color backlighting, interchangeable custom top and bottom trim pieces, and Cresnet® wired communications. 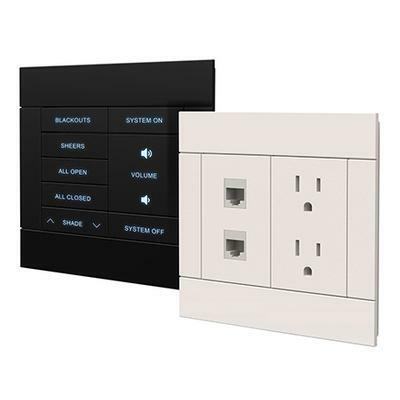 New matching accessories include paintable trims, keystone faceplates, and gang faceplates with trims that can combine 2,3, or 4 units to control lights, shades, audio and more. Visit Crestron in Hall-2, Stand C20 at ISE 2019, 5 – 8 February to see the complete line of elegant Horizon keypads and matching accessories.